Summer vacation is almost over and I know a lot of moms are already thinking what healthier dishes to prepare for their kids that are easy to make and still delicious. In response to this, California Raisins held a media briefing and shared some tips and trick in making delicious and healthy food that every kid will surely love. 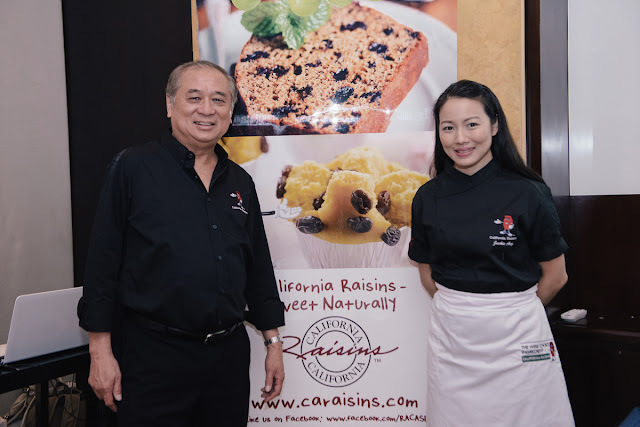 “California Raisins are fat and cholesterol free, low in sodium, and naturally sweet with no added sugar,” said Richard Lieu, Trade Promotions Director (Southeast Asia) of the Raisin Administrative Committee. To demonstrate a recipe that parents can prepare to make their children’s first day of school special, California Raisins tapped Chef Jackie Ang Po of Fleur de Lys Patisserie. Cream butter and sugar until light. Add egg yolk and flour. Divide into 9. Pour over cream cheese and blend. 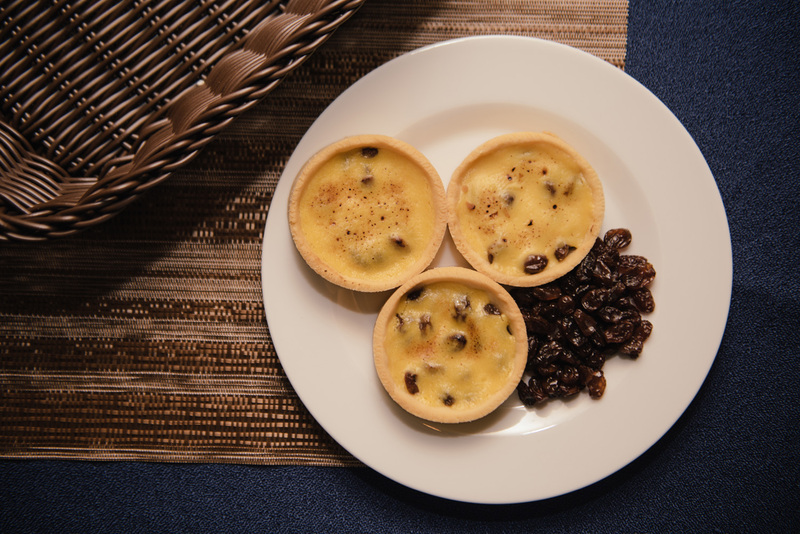 Pour into crust with raisins (2 tbsp per tart). Bake until set at 180 C. (10 minutes). 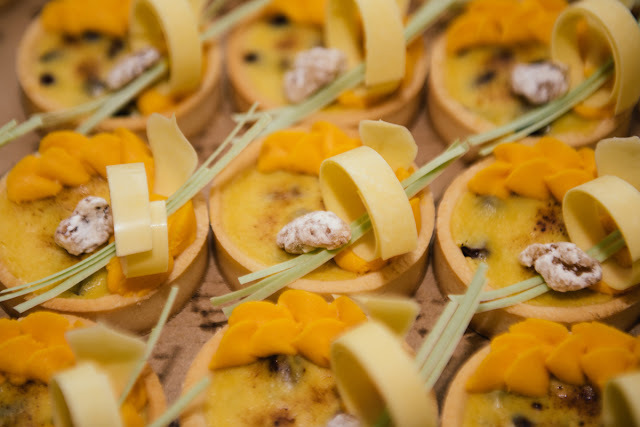 Enjoy this dessert warm or cold. Sprinkle a very small amount of sugar and place inside the oven toaster with top heat open for brulee effect (or use a torch if available). California Raisins are available in leading supermarkets nationwide. To know more about California Raisins, visit http://calraisins.org/ and www.caraisins.com or like them at Facebook at www.facebook.com/RACASEAN/.